Click on any image to enlarge and for details. 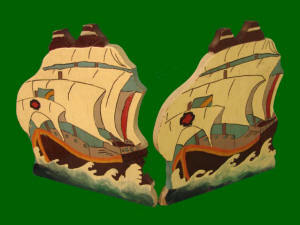 Old Pair of wood painted ship bookends. Nice crazed paint. 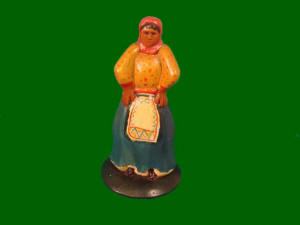 Old Folk Art wood carving of a woman. Nice paint.